Valentine’s Day Giveaway – Win a Free Numerology Reading! I recently began a new giveaway program on Facebook. If you’re on Facebook, log on and enter to win. 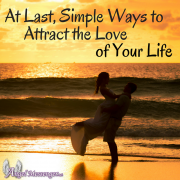 I’m giving away a Free Numerology Reading for Valentine’s Day. Want to know if he’s your Soul Mate? Win a free Relationship Compatibility Report from Angel Messenger! 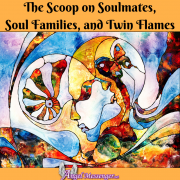 The Relationship Compatibility Numerology Report from Angel Messenger is about 50 pages and compares the core numbers of two people. It describes the potential of any relationship, whether it be a co-worker or a love interest. It gives suggestions on how to enhance a relationship’s strengths and how to avoid unnecessary pitfalls. This report includes a 12 Month Personal Forecast for each person. http://www.angelmessenger.net/wp-content/uploads/Angel-Messenger-Logo-2016-v4.png 0 0 Rev. Sheri http://www.angelmessenger.net/wp-content/uploads/Angel-Messenger-Logo-2016-v4.png Rev. Sheri2012-02-08 16:07:502012-02-10 11:02:22Valentine's Day Giveaway - Win a Free Numerology Reading! Halloween Contest - Ends Tomorrow Night!